The future transportation requires more innovative thinking. 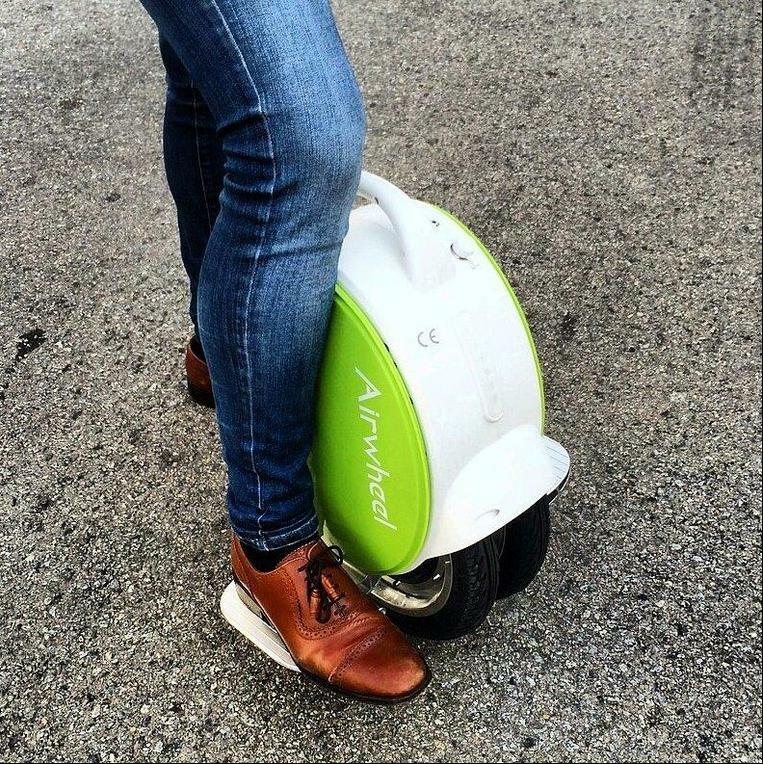 Airwheel is inspired by the latest demand of eco-friendly transporters. Airwheel Q5 as the hottest flagship product is launched lately and fans are welcome to visit our website www.airwheel.net or contact their local distributors to find out more about it. 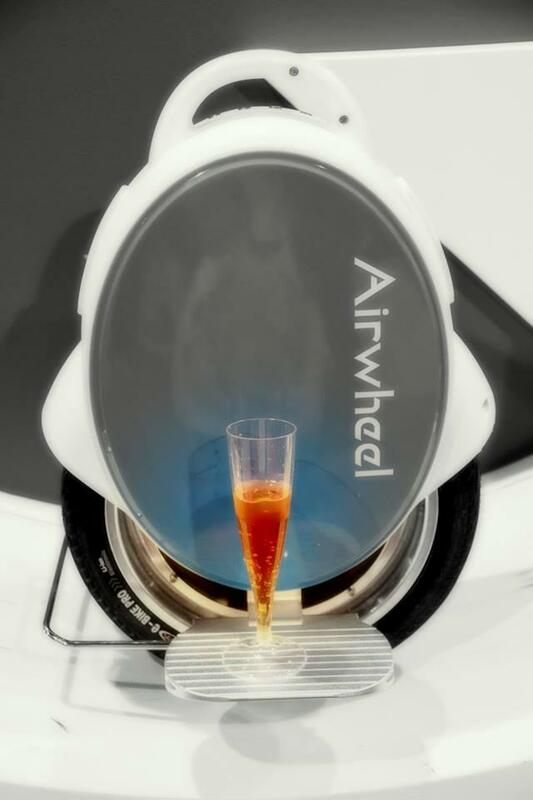 At the 2014 product launch on 22nd Sept, Airwheel launched the latest Q5 as the flagship model. Regarded as a mature and premium version, Q5 features exciting update and innovation: the brand new oval curves and latest driving system and LED atmosphere lights, all for the best rider experience. As a world’s leading self-balancing scooter, Airwheel Q5 is built by Hi-tech engineering PC featuring superior resilience and abrasion/impact resistance. The application of the cutting-edge material contributes to less power consumption by reducing the weight. To better match your apparel and lighten up your mood, Airwheel Q5 comes with replaceable cushion pad available in more fresh colors. In consistence with Airwheel Q-series, Q5 can stand on itself when powered on. Compared with unicycles which usually take at least 2hrs to learn, starters will get a hang of Q5 in max. 5 minutes. In addition, Q5 is powered by an ultra-quiet Mag-lev motor, which is lighter and more powerful than regular brushless motors and delivers more smooth and powerful riding experience. With little noise in operation, you can ride Q5 in public or work places. As the core control system in an electric unicycle, Airwheel Q5 boasts a brand new intelligent chip with only 0.03s latency, which acts at your intention and monitors real-time data to stabilize the movement and balance. Airwheel Q5 stages as an inspiring solution for the energy shortage in modern society. According to the founder of Airwheel Mr. Guogang Zuo, Airwheel Q-series with twin-wheel driving system has been successfully patented in multiple countries, and self-balancing scooters will become the mainstream personal transporter within 5-10 years.